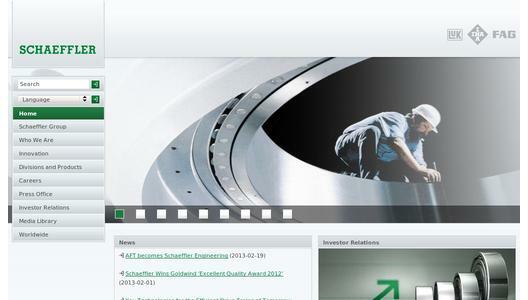 AFT Atlas Fahrzeugtechnik GmbH, a 100% subsidiary of Schaeffler AG, will change its company name to Schaeffler Engineering GmbH on March 1, 2013. 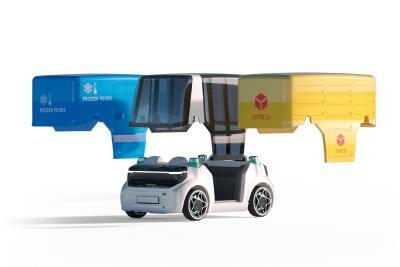 The renaming of the development service provider is a part of the new corporate strategy with which the medium-sized company is positioning itself as an engineering service provider and mechatronic systems specialist worldwide. "An engineering service provider has to be where development is taking place, especially in the future. This is why we are following a global course for growth under our new name, and our systems expertise in the mechatronics sector will be even more widely available on the new markets", explains Rolf Laufs, CEO of AFT/Schaeffler Engineering about the company's plans for the future. His assessment of the initial position for the company's global commitment is also positive: "In the decisive R&D areas of drive systems, drive components, electrical systems, electronics, and the corresponding software development - particularly with a focus on the electrification of the drive train - we have the expertise and the necessary project experience that OEMs and suppliers are looking for". Under its new name, the development service provider will continue to operate independently on the market and will increase its level of external activity in addition to company projects. The company can count on the support of its parent company during its entry into new markets, just as it can in conjunction with the expansion of its activities into other industrial sectors that is planned in the long term. Prof. Dr. Peter Gutzmer, Member of the Executive Board and CTO at Schaeffler AG, sees this new orientation as a positive step: "Schaeffler Engineering offers outstanding, sustainable services and products and has proven expertise at its disposal - particularly in the areas of mechatronics and system development but also in transmission development, vehicle acoustics, prototype construction, and the low-volume production of electronic control units and measuring systems. 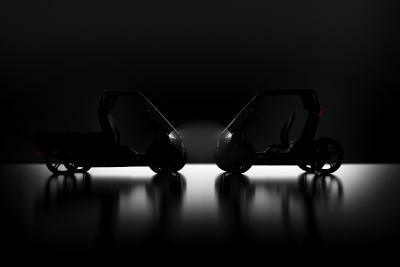 These have already been successfully used in customer projects such as control systems for gas engines and in company projects focusing on various concept vehicles for efficient future mobility. In the future, the further expansion of this expertise will provide even more opportunities for cooperation throughout the company and for acquiring attractive customer projects". Dr. Juergen M. Geissinger, CEO of Schaeffler AG, sees Schaeffler Engineering as a sign within the industry of the expansion of the high-tech company's global positioning that also serves to highlight its customer orientation. "I am very glad that we are integrating Schaeffler Engineering more strongly into Schaeffler AG's corporate strategy. We thus have more comprehensive development and service capacities at our disposal and can offer our customers more customized support, from system integration in the drive train and in the vehicle through to volume production. In the long term, having our own engineering service provider will allow us to strengthen our position as a recognized development partner with systems expertise for the entire drive train and for complex industrial applications." AFT Atlas Fahrzeugtechnik GmbH, founded in 1979 in Werdohl (Germany) develops and supplies mechatronic systems, conventional and alternative transmission and drive systems, vehicle integration, mobile measurement equipment, and the analysis and optimization of vehicle acoustics. The company's core expertise ranges from rapid control prototyping, designing customer-specific hardware and software, series applications, calculation, designing and developing prototype and volume-production applications, measuring technology integration, acoustics and vibration analyses, and supplying small production runs with volume production support. AFT was taken over by LuK Lamellen und Kupplungsbau GmbH in 1986. Three years later, the company then known as TEMIC Microelectronic (later Continental TEMIC) became a 50% shareholder. The company was integrated fully into the Schaeffler Group in 2004. 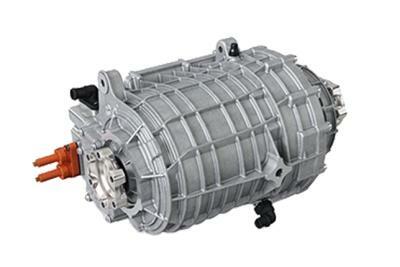 AFT Atlas Fahrzeugtechnik GmbH, a Schaeffler Group company, is an international provider of mechatronic system development services in the drive train, vehicle testing, and mobile measuring technology. The company’s range of services also includes the analysis and optimization of vehicle acoustics and the development of conventional and alternative transmission and drive systems. The company’s core expertise ranges from rapid control prototyping, designing customer-specific hardware and software, series applications, calculation, designing and developing prototype and volume-production applications, measuring technology integration, acoustics and vibration analyses, and supplying small production runs with volume production support. Schaeffler with its product brands INA, LuK and FAG is a leading provider of rolling bearing and plain bearing solutions and of linear and direct drive technology, as well as a renowned supplier to the automotive industry of high-precision products and systems for engines, transmissions, and chassis applications. The globally active group of companies generated sales of approximately 10.7 billion euros in 2011. With approximately 76,000 employees worldwide, Schaeffler is one of the largest German and European industrial companies in family ownership. With 180 locations in over 50 countries, Schaeffler has a worldwide network of manufacturing locations, research and development facilities, sales companies, engineering offices, and training centers.